Hi guys, I am new to this forum, I am glad to be here with all of you. I have bought a formula kit recently: a starboard 162l, and 11m sail. I am 72 kg weight, thin fit. I have tried to handle it, but it's impossible to me: I can uphaul it, with some effort. But when uphauled, the weight of the sail avoids me to controll its position. Perhaps is it too big sail for my weight? I have read several forums where the recommended sail sizes are from 10m minimum. But If I cannot handle an 11, then neither a 10 (only 1m less). Is it possible to use a Formula with less sail, for example a 8.5 o 9? I can handle without any difficulty a 7.5 (8.5 tried once on a slalom, and ok). I would like to plane from 8-9 knots. I have seen at a sail calculator that an 8.5 would allow from 8 knots, but.. is it realistic? I only have one fin (70cm). A bigger fin that looks more like a foil? I'm sure others will give a proper answer. At your weight I would be thinking a larger slalom board 130 liter with a 9m would be plenty to get you planing. Sometimes larger and larger isn't helping and just causes usability problems. For early planing and mostly reaching, an old formula board works extremely well with much smaller sails. The only reason why the Formula sailors carry ginormus sails is becasue they are SOLELY concerned with sailing up-wind and down-wind at the most extreme angles possible. Years ago a friend had one of the early formula Boards. I think it was the SB186X. While we were sailing the wind gradually dropped out to the point where I could not get my big slalom board planning at all. I had a 6.5m sail which was pretty grunty and would normal get me going in OK in 12 knots. I slogged pulled into the shore and he offered me a try of his Formula. he had an 8.5m sail on it but i said I would plug my own in because it was set up for me. He didnt expect me to get planing. But I stepped on and was planing almosy instantly, and did so for the next 15 minutes. bear in mind this was reaching back and forth. BTW. A big rig Formula board is pretty much uncontrollable on a reach in anything over high teens wind strength. That probably not what you want. The only advantages of a BIG slalom board is top speed on the reach and easier gybing. Depends what you want to do really. I wouldnt be thinking of antything larger than a 9m if I were you, preferably, a lightish no cam one. my lightwind blasting setup for about 10 years was a Formula board with an 8.5m. up to 20 knots it was great fun. highly recommended if you want more time on the water. Thank you all very much for your answers!! I really want it only to have fun, no competition. Don't give up on the 11 just yet, if you have the fitness and you can uphaul it the rest will become substantially easier once your technique adapts a bit to it. I raced formula for years, but now just for light wind. I have an 11.0 and don't use it because of the gusty winds where I sail. It's range is very limited for me at 70KG. Any gust over 15 knots and it's a hand full. When the wind is steady, it's fun for cruising, but that's not often. Now, I only use my 9.2 in the lighter winds and can plane in about 9 knots with some pumping. I used my 8.4 and 7.6 for some races where it was windy and even a 6.5 once when the wind was 30knots. I am not sure that the small early planing advantage of a formula board over a big free ride is worth it, but now that you have one, just get a smaller sail - 9 or 10 m.
You can use 5.7's if they are longboomed and cam. Some dumb "experts" said otherwise, but current use of Formula boards for foiling prove them way wrong. Seen 4.7's on Formula boards used effectively...not racing. i used a 70cm fin with the 8.5m for blasting and it worked well. Thi fin is a 70cm curtis cut to 45 cm. And yes a lot of sail pumping. Only only had the formula board for 3 weeks. 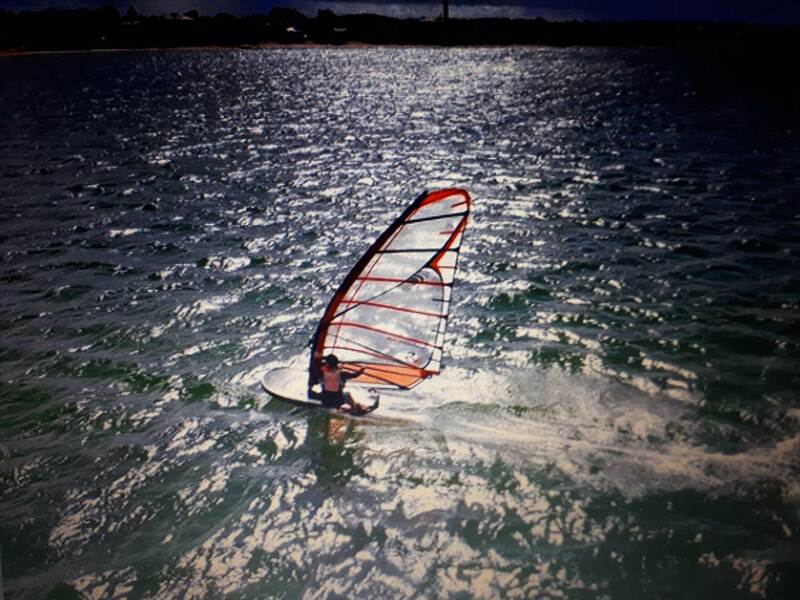 Thats why i got mine, to have fun on light wind days but experiment with set ups, especially the sail, bagging out etc. Dont get caught up in too much technical side otherwise it kills the fun a lot. Sometimes i look at my set up and doubt myself a lot until i am on the water and blasting. Just make adjustments as you go.